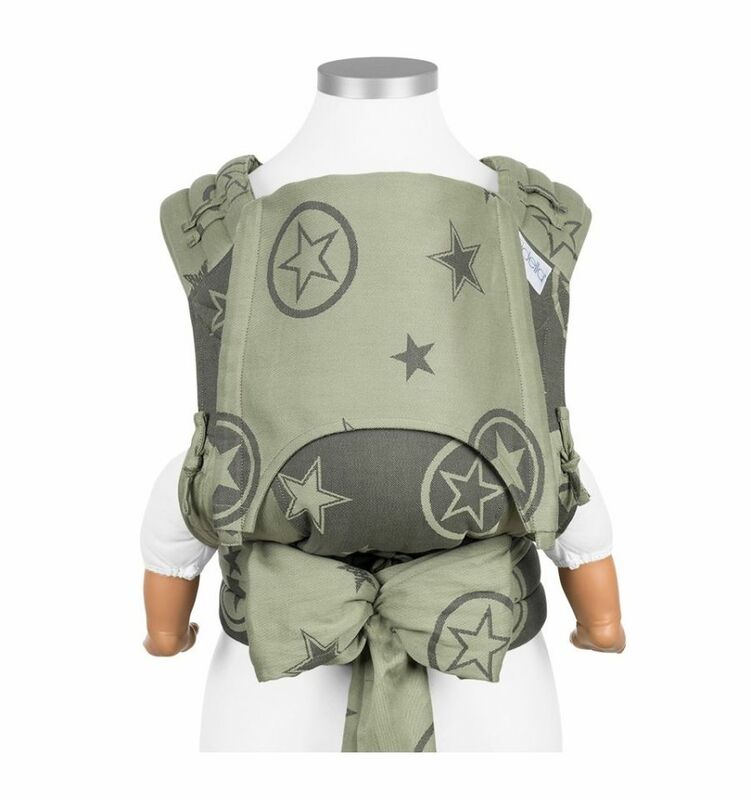 Fidella Fly Tai Baby Size is a Mei Tai carrier that is tied by the ends of its two straps in order to achieve different styles. 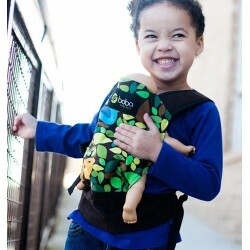 The Fly Tai can be easily put on and off and can individually be adjusted to the size of your baby. 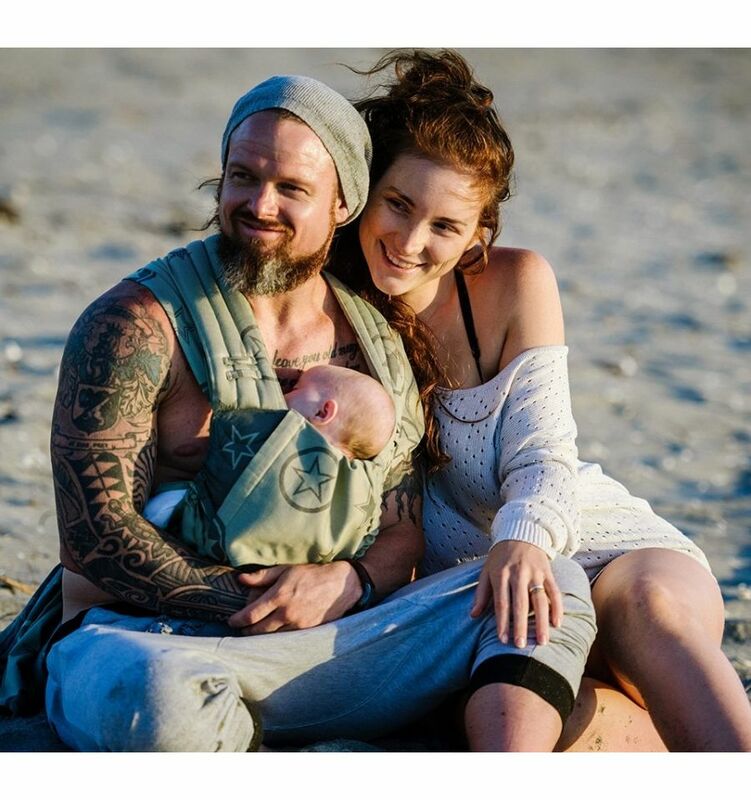 The baby carrier grows with the child and always fits perfectly. 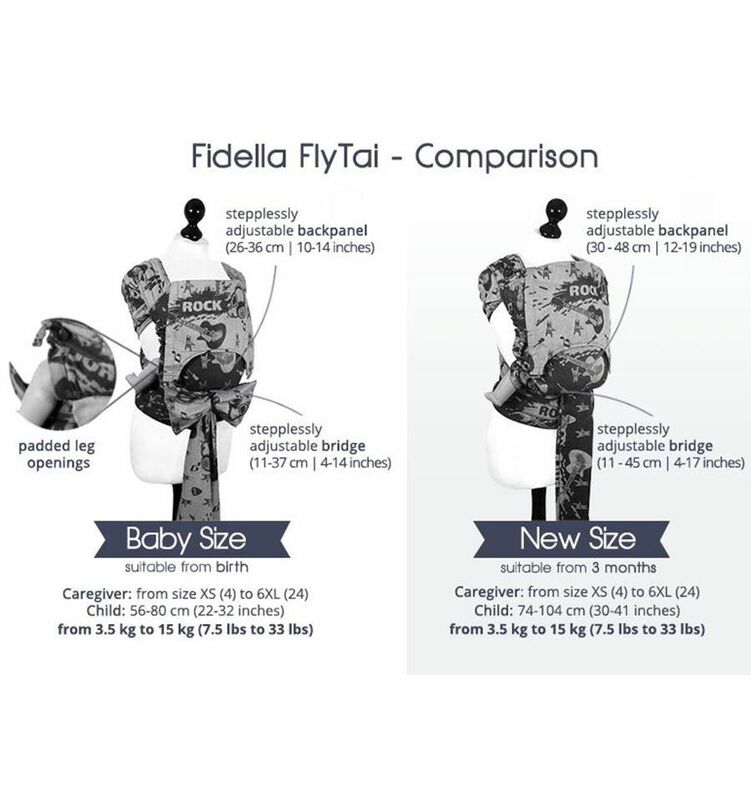 The Fidella Fly Tai Baby Size can be adapted to the size of your baby. 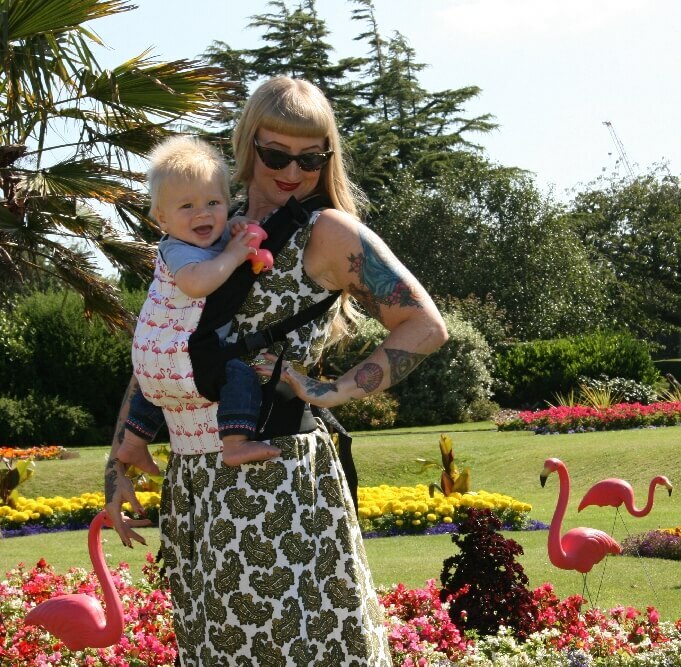 You can use it from birth with a minimum baby size of 56 cm to a maximum size of 80 cm and a maximum weight of 15 kg. 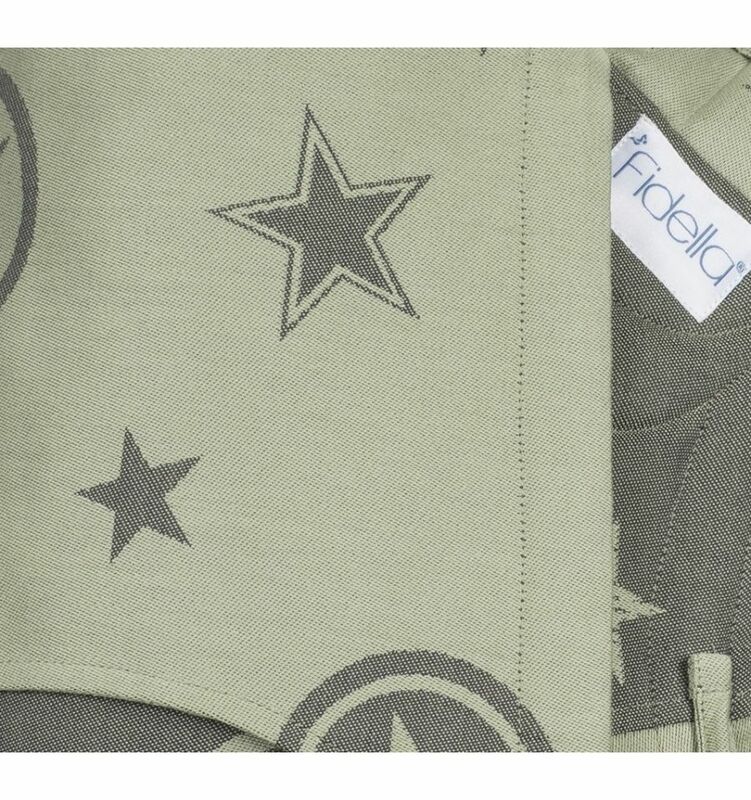 The Fidella Fly Tai allows to adjust the bridge and back panel. 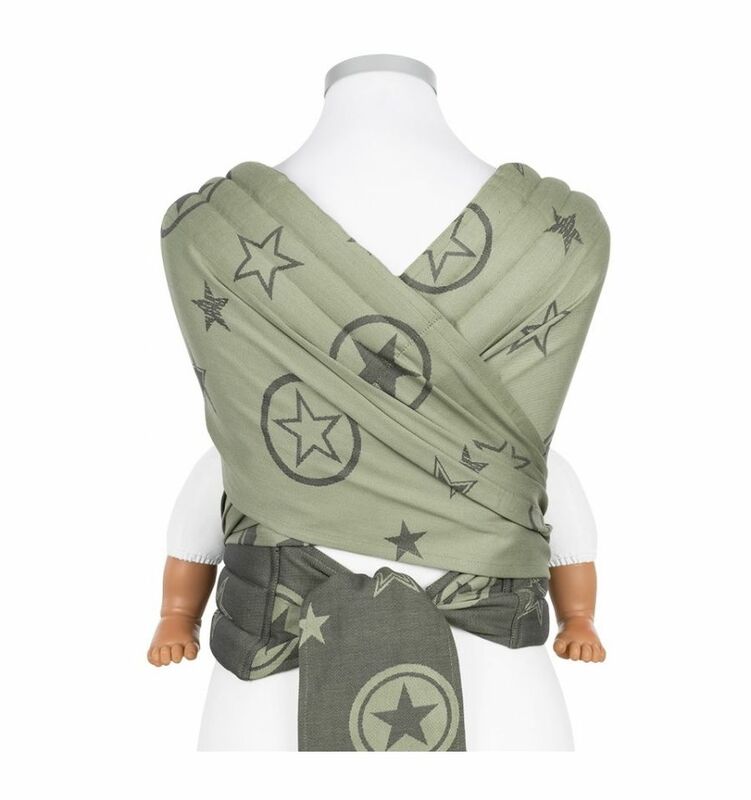 The back panel has a length between 26 - 36 cm and the width of the Mei Tai can be adjusted from 11 - 37 cm which will always fit the size of your baby. 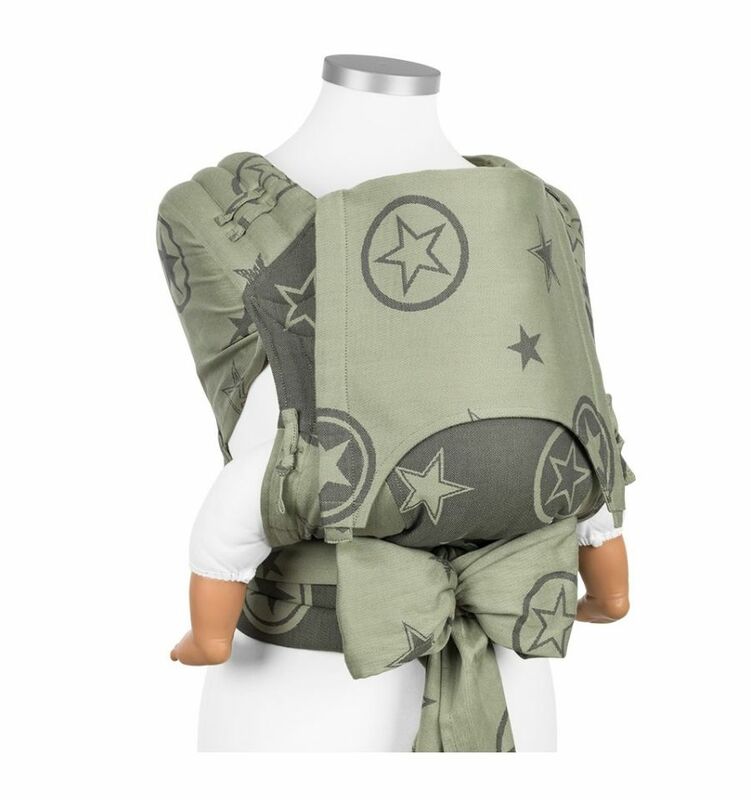 Like all Fidella Fly Tais this Mei Tai carrier comes with straps that have different ends to make it easier for you to distinguish shoulder and hip straps. 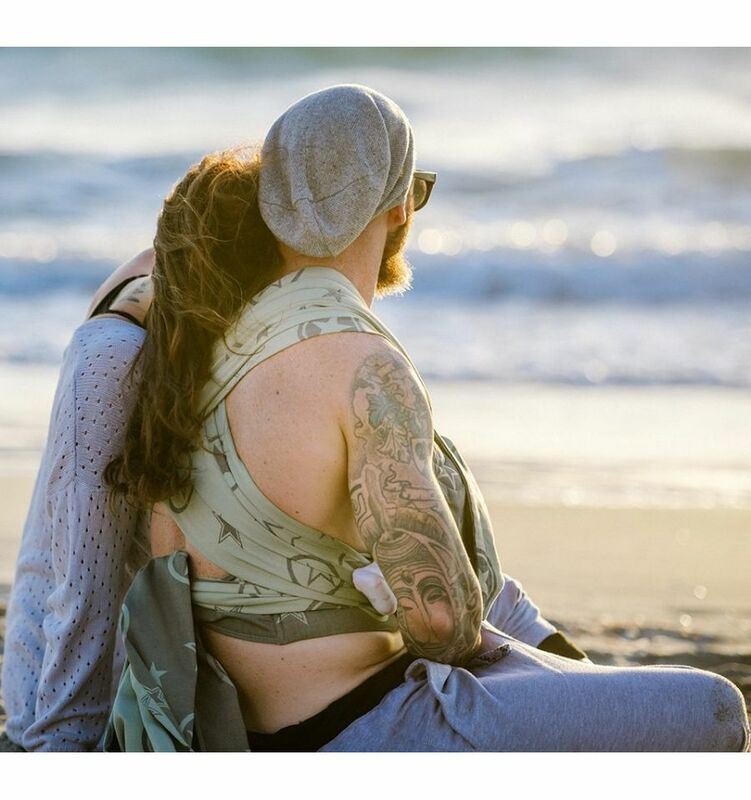 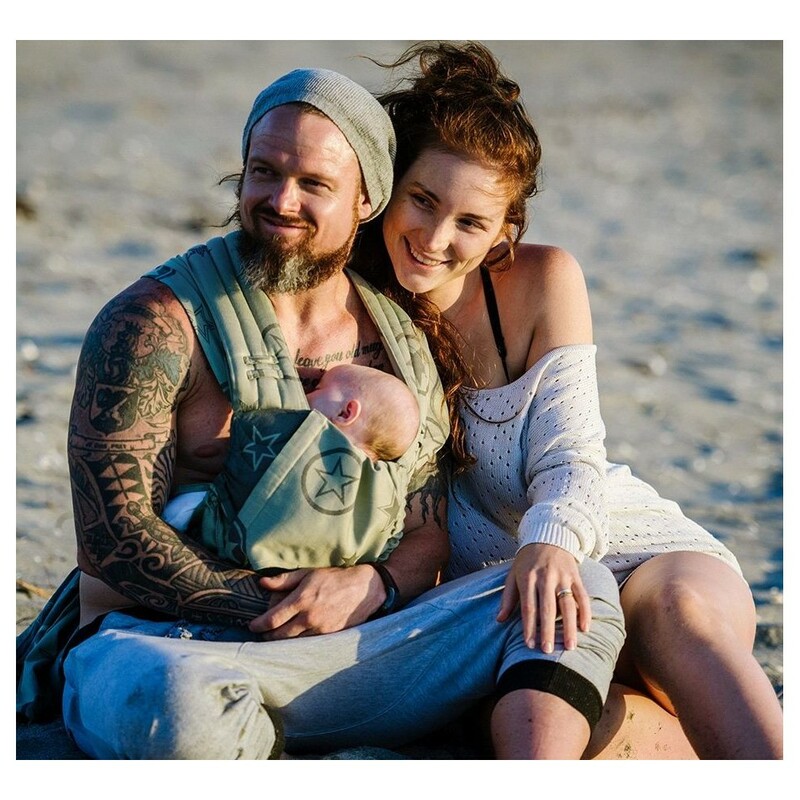 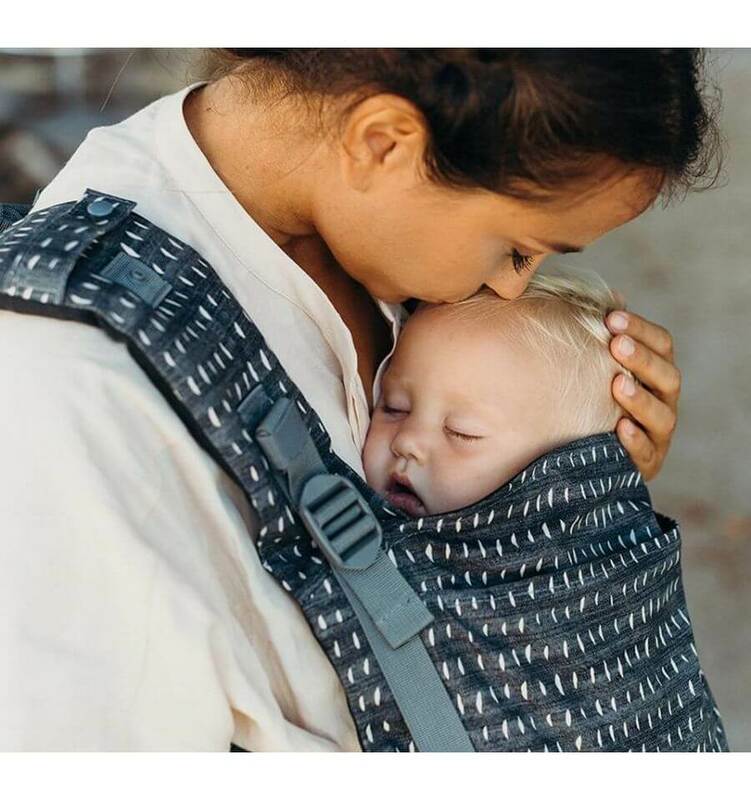 While the shoulder straps have a length of 200 cm, the hip straps can be tied between 57 - 190 cm, which makes this baby carrier especially suitable for smaller parents but also fits up to a size of 6XL. 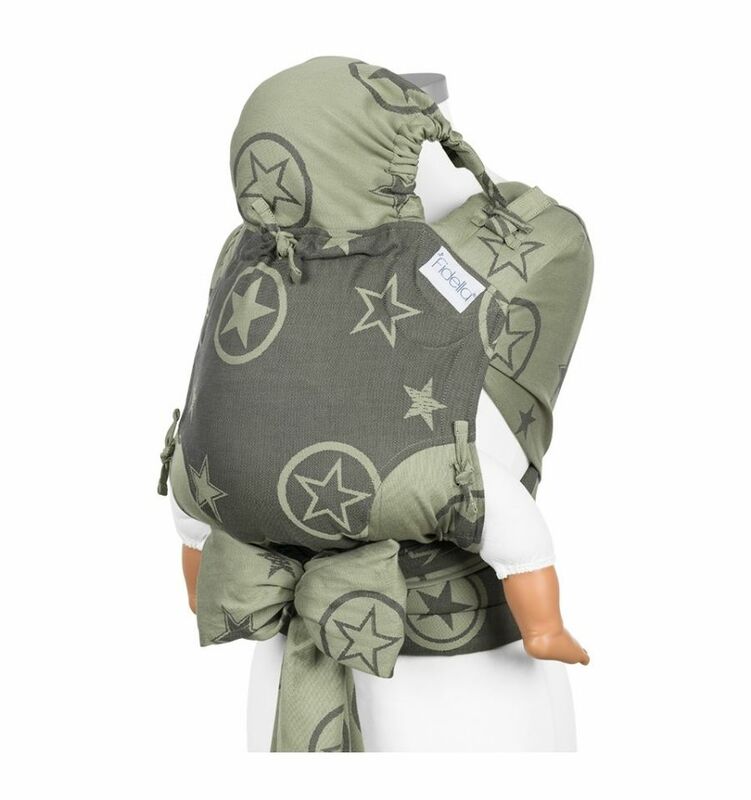 The polyester padding makes the Fidella Fly Tai - Mei Tai extra comfortable.